Dora and Boots meet the Easter Bunny, who, is disguised as Hip-Hop Bunny. Dora makes a kite for her father on Father’s Day, and must retrieve it when it gets blown away. Dora and Boots turn into sea creatures to help a lost Mermaid return to her mother. Dora and Boots are practicing for the Fantastic Gymnastics Show when Dora gets a special delivery, a beautiful rainbow ribbon. But Swiper came and swiped the ribbon so Dora and Boots must get the ribbon back in time for the show. Dora and Emma are going to the school science fair with new friends. Dora takes care of some kittens for Abuela, but they go missing. There’s a surprise waiting for Perrito the dog, but Swiper wants to swipe the present! Will Dora be able to beat Swiper to the Surprise Hill? Boots and Baby Jaguar are having an animal circus, and Dora and Diego rush to get there. 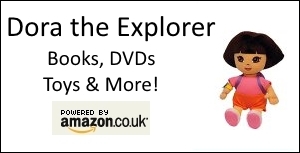 Benny gets stranded on a crazy deserted island and it’s up to Dora and Boots to save him. Dora and Boots help a little bongo drum get to his first show. Dora and Boots become a lady knight and a squire and assist a noble horse in saving Don Quixote, who’s been captured by a vile wizard and is being held in an abandoned library. Dora and Boots help a paintbrush reunite with its painter. Dora is at the doctor’s office for her yearly check up. There, she meets a few animals who are sick and learns that getting a shot isn’t as bad as it looks. Map shows his nephew, Little Map, how to draw pictures and make a treasure map, causing Dora and Boots to go on a treasure hunt of their own. Dora and Boots rush to get Dora’s float back for the Thanksgiving Day parade when the Pirate Piggies cause it to fly away. Dora and Boots visit the library, where they jump into books, meet characters of books, and help them find their lost items. Dora and Boots have to get to Benny’s farm so they can use Dora’s microphone to invite their friends over for a sing-along party. Dora and Boots must help their butterfly friend attend the Butterfly Ball.